Set in the storied Parisian quarter of Montmarte, this heartwarming, comic tale is a must for foodies, Francophiles, and lovers of a good story well told. Made famous by artists, writers, and bon vivants of every ilk, Montmartre has been the stomping ground for bohemian celebrities through the ages and a neighborhood synonymous with transgression and innovation. Today, it is a bustling multiethnic neighborhood where cultures, cuisines, the past and the future of Europe cohabitate and collide. 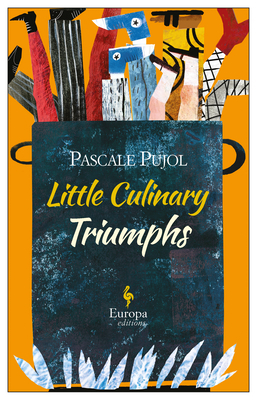 Here in this vibrant community, in Pujol's charming English-language debut, a cast of endearing characters fall into increasingly comic situations as they seek to follow their often-outrageous dreams. Sandrine works as a functionary in an employment office, but there is a lot more to her than one might suspect from her job description. With a volcanic personality and an imagination to match it, she is also a world-class cook who is waiting for the right occasion to realize her dream of opening a restaurant of her own. With a master plan that one could only describe as Machiavellian, Sandrine ropes Antoine, an unemployed professor looking for a fresh start, into her venture. A carousel of extravagant characters follows: the giant Senegalese man, Toussaint N'Diaye; the magical chef, Vairam; the extravagantly flatulent Alsatian, Schmutz and his twelve-year-old daughter Juliette--IQ 172 ; the alluring psychologist and Kama Sutra specialist, Annabelle Villemin-Dubreuil. Plans for the restaurant proceed smoothly until Sandrine discovers a shady newspaper operation next-door that leads her to a sinister magnate manipulating the Parisian news outlets.